This great institution was Established in the year 1951 with a humble beginning with a modest strength of 150 students in the intermediate course as V.R.S. College, by the founder and chief donor Vutukuri Ramayya Sreshty with munificent donation of rupees one lakh. It was changed as V.R.S. & Y.R.N. College in the year 1962 after a munificent donation of rupees one lake rupees by the chief donor Yarlagadda Ranganayakulu Naidu Charities. Ever since, it has been growing from the strength to strength and the stewardship of the Enlightened Management. Placements: Placement Cell is the spring board for career development of students, their ultimate objective of pursuing technical education. Keeping in view this responsibility and importance, the College has a well organized cell with vastly experienced and suitably competent personnel, and high grade infrastructure. The pre-placement training has become mandatory for students, so they can face highly competitive selection process with confidence. The training part is taken care of by a dedicated wing of the Cell:Continuing Education Cell which offers need-based training programme and high-value courses on modern technologies in a very scientific manner. Campus: This great institution was Established in the year 1951 with a humble beginning with a modest strength of 150 students in the intermediate course as V.R.S. College, by the founder and chief donor Vutukuri Ramayya Sreshty with munificent donation of rupees one lakh. It was changed as V.R.S. & Y.R.N. College in the year 1962 after a munificent donation of rupees one lakh rupees by the chief donor Yarlagadda Ranganayakulu Naidu Charities. Ever since, it has been growing from the strength to strength and the stewardship of the Enlightened Management. 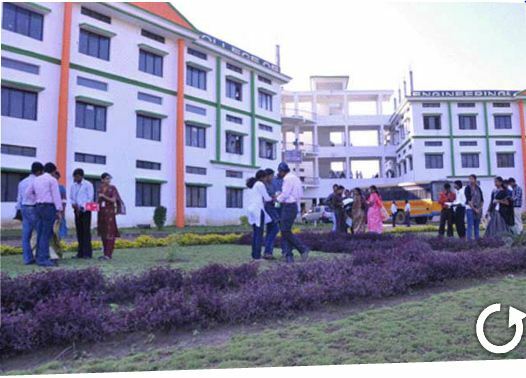 This college has been situated in a panoramic area of 110 acres of sandy serene and salubrious atmosphere in a sprawling scenic campus, away from madding crowds but not far away from the blue waters of Bay of Bengal. This institution has assumed a place of pride and become a pioneer in imparting Higher Education. Central library: The library remains open from 8:30 a.m. on all working days for the purpose of reference, issue and return transactions. At present, the Library has over 16426 volumes, 3182 Titles, it also subscribes to 75 Journals and 127 Magazines of India and overseas. The college has a policy of buying multiple copies of many of the books. Every effort is made to obtain all the titles recommended by the faculty. There is no budget approvals when it comes to buying books. The students need not be handicapped for want of reference material at any time. The Library have membership like IEEE, ACM, Institute of Engineers, DELNET and IETE. Good mess both north & south Indian type, departmental store & telephone booth within the hostel building. Rooms of size 10×12 sq ft. With cot, chair,table and fan. indoor & Out Door Games.